A Z-brace door allows you to use boards to make a door instead of a single sheet of material like plywood. The name describes the shape formed by the boards used to brace the parallel door boards and keep them from sagging or warping due to gravity when the finished door is hung from hinges. The design is a type of triangular bracing. Z-bracing is stronger than simple horizontal bracing. Form the basic structure of a Z-brace door using good quality, non-treated boards arranged parallel to each other and cut evenly to the desired length. Depending on the size and intended use of the door, you may wish to use 1-by-4, 2-by-4, 1-by-6 or 2-by-6 lumber. Avoid boards that display warping or large knots, which may result in gaps in the finished door and additional strain on the bracing. Wait to finish the edges of the door until all of the bracing is in place and firmly attached. Attach the door boards to each other using horizontal brace boards a few inches from the top and bottom of the door. Fasten the brace boards to each door board with deck screws measuring 1/4-inch less than the combined thickness of the brace board and door boards. Place a final brace board diagonally between the two horizontal braces to form a Z-shape, mark the correct length with a pencil and cut it to size. Attach the Z-brace board to the door boards with more deck screws. Your Z-brace door requires at least two hinges for hanging and a latch to keep it closed. 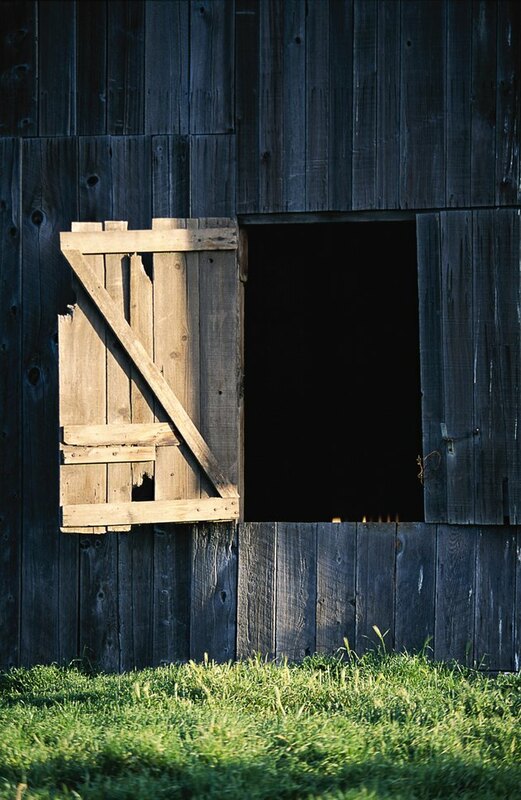 For most outbuildings, it's easiest to use strap hinges. Screw strap hinges onto the outside or unbraced side of the door, but position them so the screws pierce the edges of the horizontal braces on the inside for added strength. Position the door in the doorway of the structure and make sure it can swing freely open and closed. Use shims to support it at the correct height while fastening the hinges and latch to the building. A standard Z-brace door has three brace boards forming the Z-shape, but there are several variations to make a door more useful or visually interesting. A double Z-brace door has three horizontal brace boards and two diagonal boards, one on the top half of the door and one on the bottom. A Z-brace Dutch door has a top half that opens independently of the bottom half, each with a Z-brace. Dutch doors are useful in buildings used for livestock, allowing air flow while keeping animals contained.